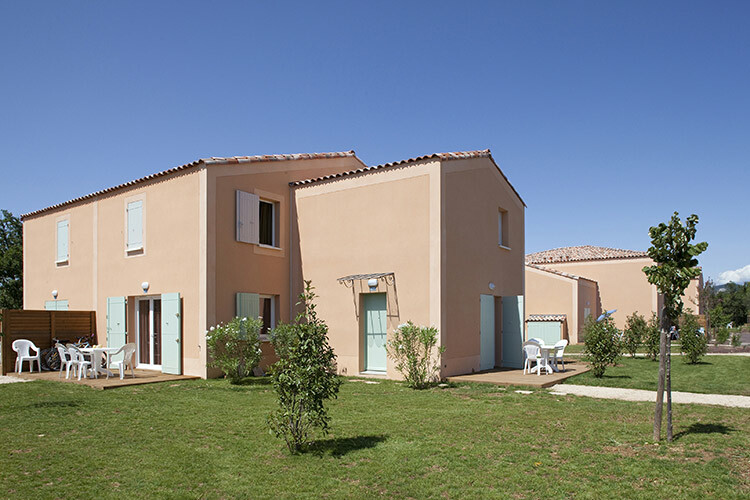 The Residence Les Demeures du Ventoux*** has been developed over a 5-hectare estate in accordance with principles of respect for nature.The houses are designed in the traditional Provençal bastidon style with terraces. They are spread over a magnificent landscaped estate filled with southern squares and Mediterranean trees and plants. Footpaths criss-cross the estate, allowing people to reach the houses and services in perfect peace. If you wish, you can also make full use of the swimming pool, multisports ground, fitness trail and children's activities. A living room with a pull-out sofa bed (140x190cm) equipped with a TV with access to all terrestrial channels. 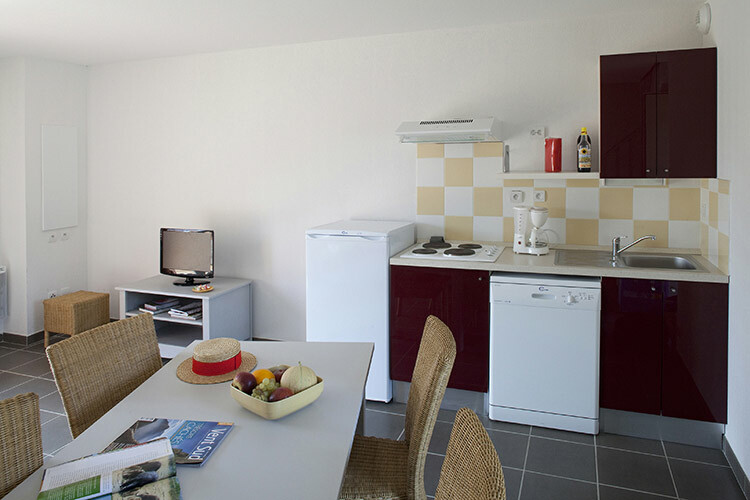 A kitchen unit with fridge, microwave, coffee maker, dishwasher and hob-stoves. A bathroom with shower or bathtub and toilets. A terrace with patio furniture and parasol. 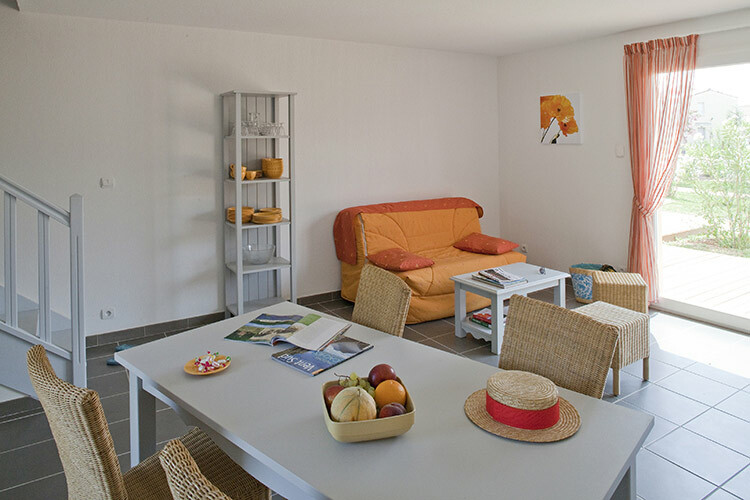 One bedroom with one double bed (160 x 190 cm) and one bedroom with two single beds (80 x 190 cm). Bathroom with shower or bathtub and a toilet on the 1st floor. Toilet on ground floor. Bathroom with shower or bathtub and a toilet on the 1st floor. WaveIsland is the first theme waterpark in France. 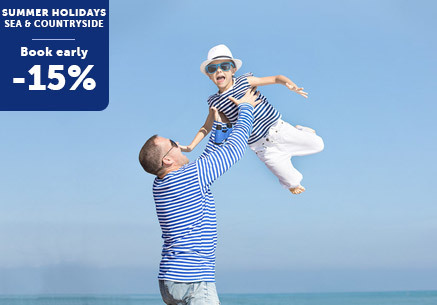 Unique, it offers including the largest lazy river ride in Europe and the largest surf simulator in the world. The public can enjoy many activities. 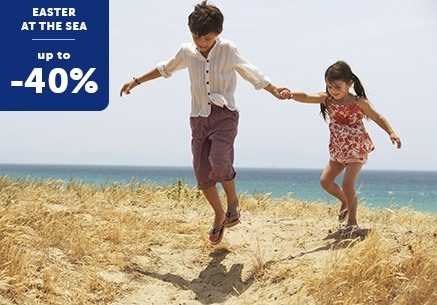 Access with additional charges in reception and in apartments. 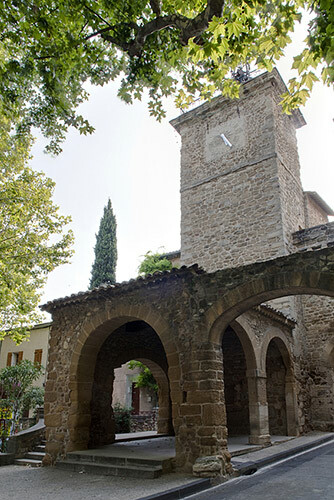 Located between Avignon and Orange, Aubignan is ideally located in the heart of Provence. 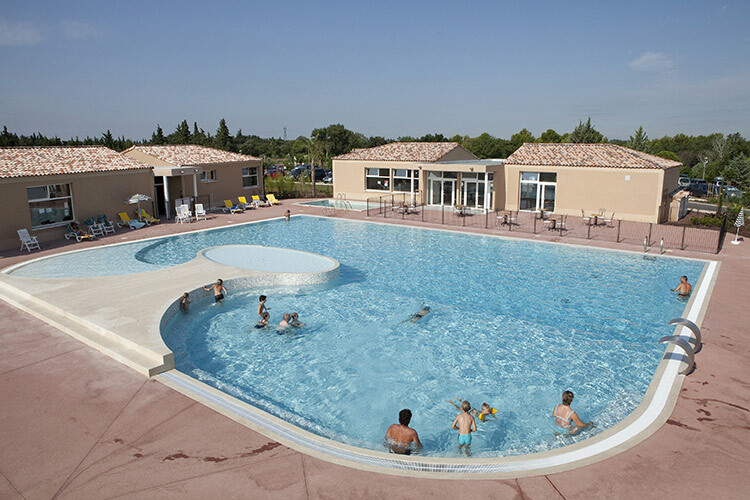 You can admire a breathtaking panoramic view of Mont Ventoux and the Canal of Carpentras. 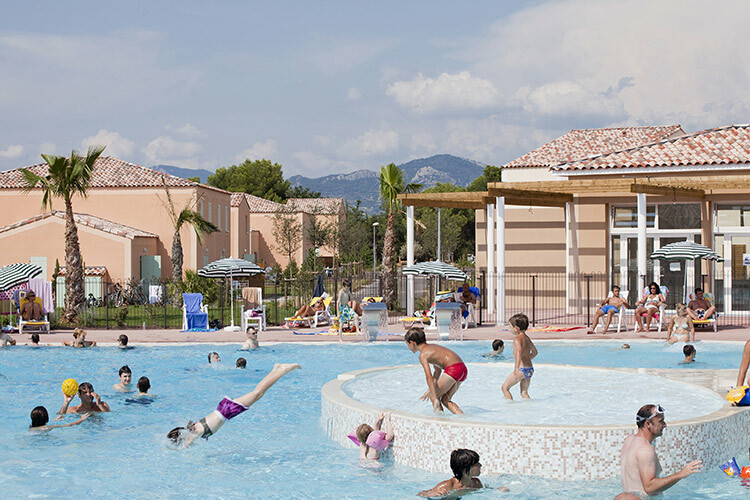 Discover many different sites only a short distance away: the Pont du Gard, Nimes and its arenas, Arles and the Camargue, Luberon, Les Baux de Provence, not to mention Mont Ventoux, also known as the Giant of Provence. You can enjoy the market, the shops and the region's rich heritage. 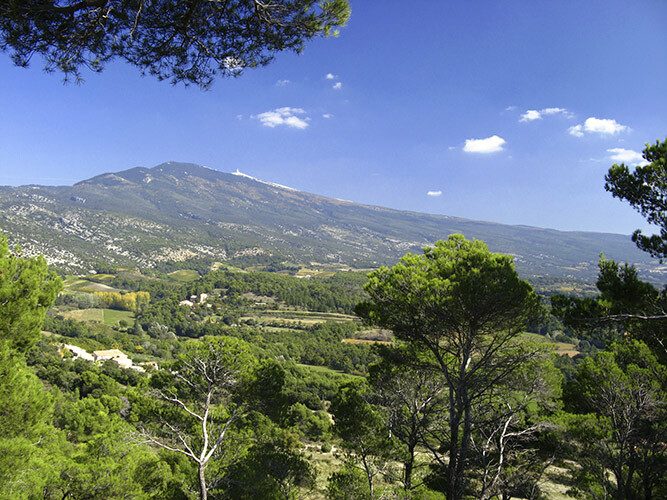 Nature lovers can explore Provence's many hiking, horseriding and mountain bike trails. Bed, chair, potty, bath chair. Open from April to September depending on weather conditions. Recreation and exterior plunge pool(500 square metres, at depths of 0,45m to 2 metres), heated plunge pool(at depths of 1,62 metre), a paddling pool (24 square metres, at depths of 0,3m). 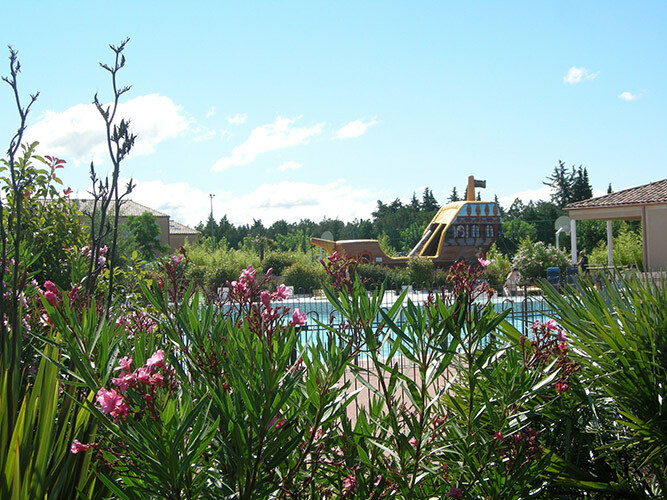 Family attractions for adults and children, an adventure river accessible to people with reduced mobility, playgrounds dedicated to children of all ages as well as dining areas. Upon booking; registration at the reception desk (depending on availability); accessible only to people over 18 years old.